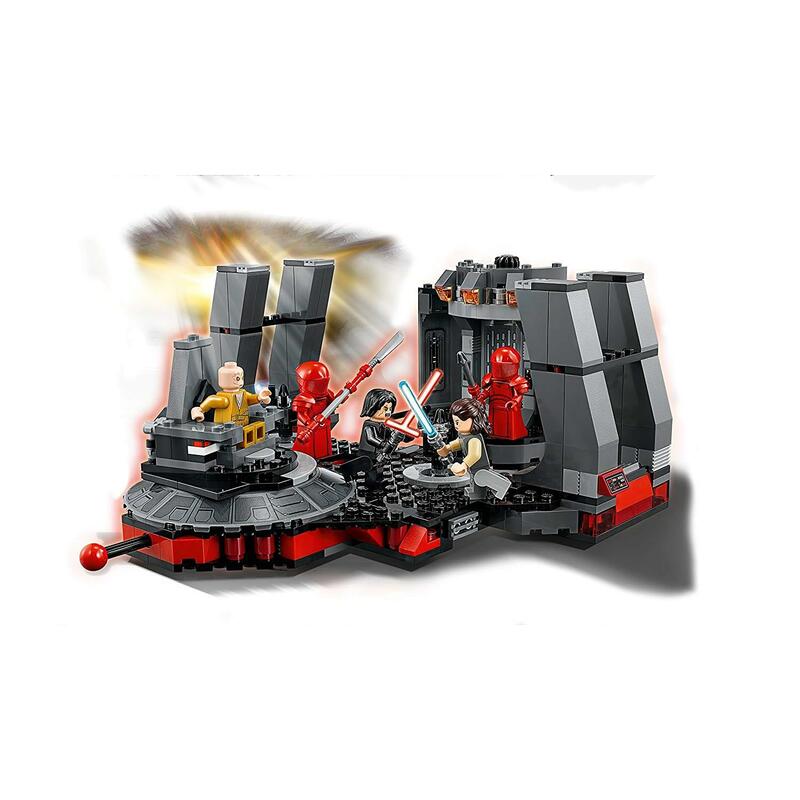 Pit Supreme Leader Snoke, Rey, Kylo Ren and the highly trained Elite Praetorian Guards against each other in Lego Star Wars 75216 Snoke’s Throne Room! 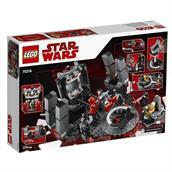 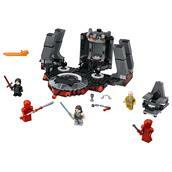 Taken from the exciting scene from Star Wars:The Last Jedi, this Lego Star Wars set features Snoke’s star destroyer throne room with rotating throne, knob-activated turning doorway and moving floor functions, plus hidden compartments to store Snoke’s treasures and weapons, and 5 Lego minifigures. 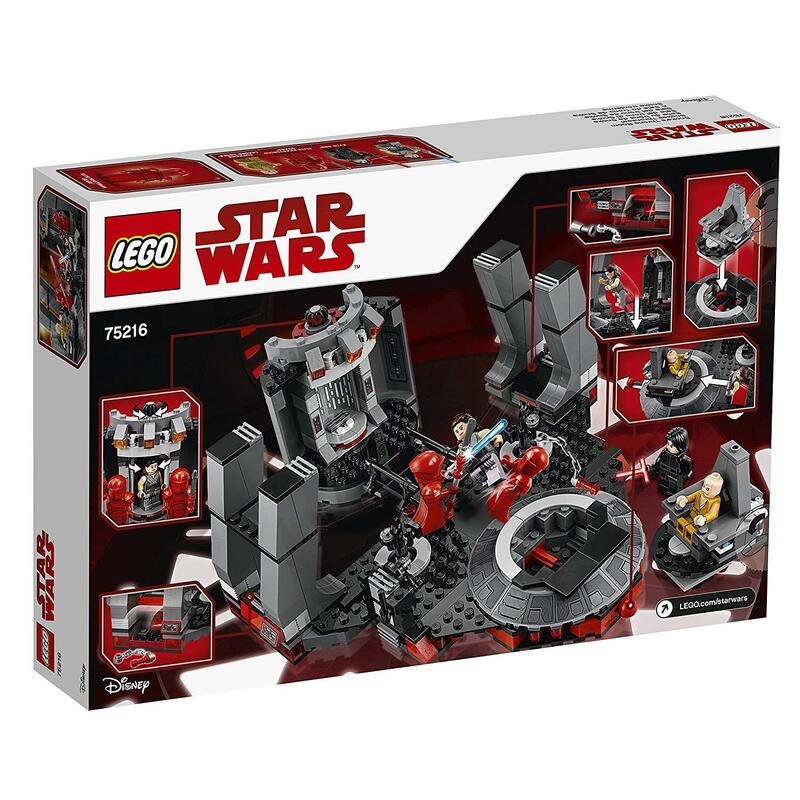 Includes 5 Lego minifigures:Rey, Kylo Ren, Supreme Leader Snoke and 2 Elite Praetorian Guards. 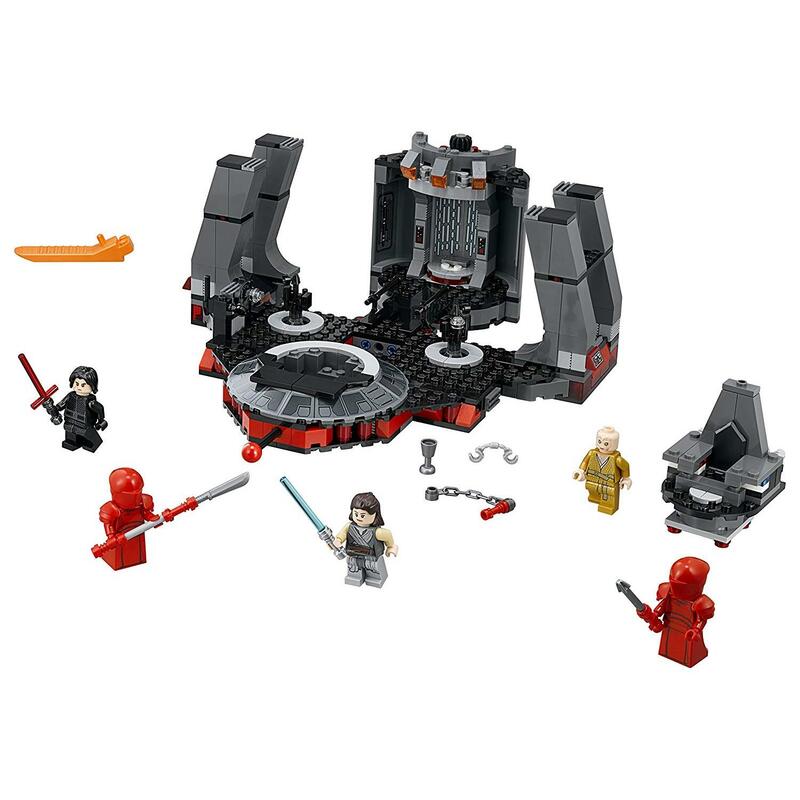 Weapons include Rey’s Lightsaber, Kylo Ren’s Lightsaber and the guards’ double-handed bladed staff and convertible whip staff. 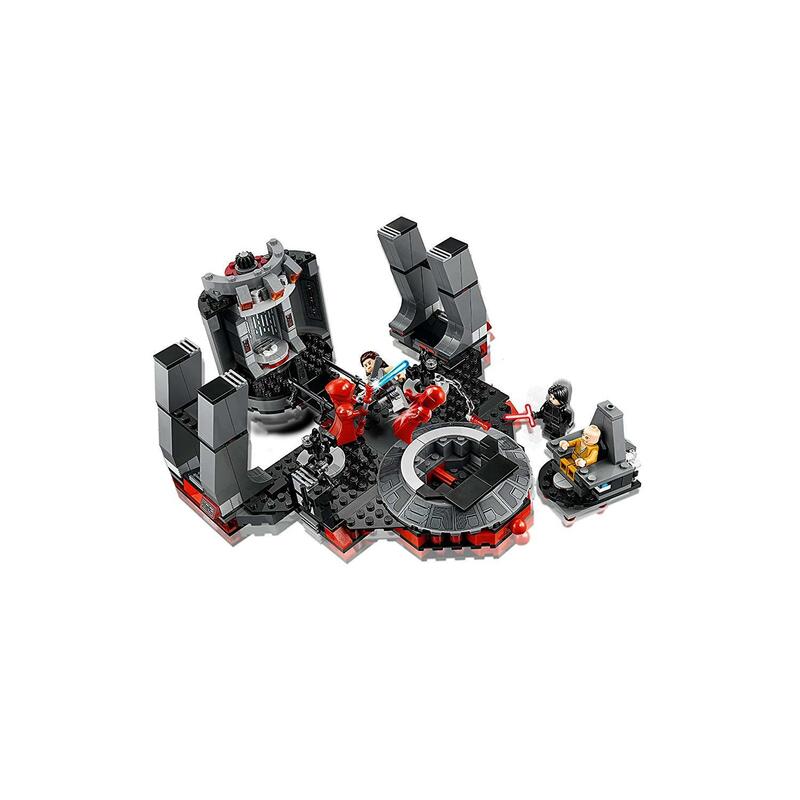 Accessory elements include a whip attachment for the guard’s rod weapon. 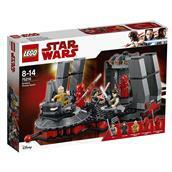 Recreate intense battle action from the Star Wars:The Last Jedi movie.